We wish to inform all Nigerians that in line with our continued drive to add value to all Pay TV subscribers in Nigeria, we are pleased to introduce our new decoder “TStv Jolly Decoder”. The new TStv Jolly Decoder is a product of sustained excellent innovations and a perfect blend of unique and hybrid features designed to offer premium entertainment experience to our esteemed customers nationwide. Once again, we appreciate all Nigerians for their unflinching support, love and understanding and also reaffirm our commitment to continue to transform the Pay TV landscape in our dear nation, Nigeria. 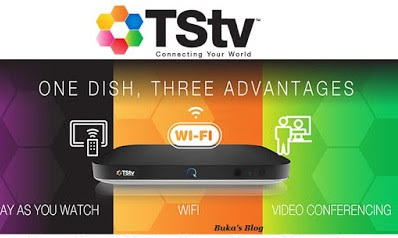 God bless Nigeria TStv Africa…connecting your world! Dear Nigerians, we wish to immensely thank you for standing by us all through our trying times and wish to confirm to you that TStv Africa is now stable in operation. Sequel to this, nationwide sales of decoder and accessories will effectively commence from 28th November, 2018 with access to 72 TV channels. Please feel free to walk into any nearby TStv Africa retail outlet to pick up your decoders and accessories We appreciate you for standing by us.